I been craving for a chocolate muffin for a while. Since my doctor advice me to avoid sweets and acidic foods, I stop eating such food instantly. But since I feel better now, I started eating sweets just enough to satisfy my stomach. I'm really trying to avoid sweets not because my doctor says so but because I wanted to cut them and loss few pounds of fats. So everytime I crave for it, I just bought some in the coffee shop or in the grocery store. I decided this morning to make some muffins which is not too sweet and healthy to eat. I check in the internet for the recipe and thanks to All Recipe for sharing an easy recipe and delicious recipe. Photos are originally mine but the recipe is a copy one from All Recipe website. 1. Combine oats and milk and allow to stand for 15 minutes. Preheat oven to 400 degrees F (205 degrees C). Grease each cup of one 12-cup muffin tin. 2. Stir egg, oil, 1/2 cup of the brown sugar, chocolate chips and 1/2 cup of the pecans into the oat and milk mixture. 3. Combine flour, baking powder and salt. Add oat mixture to flour mixture, stirring until just moist. 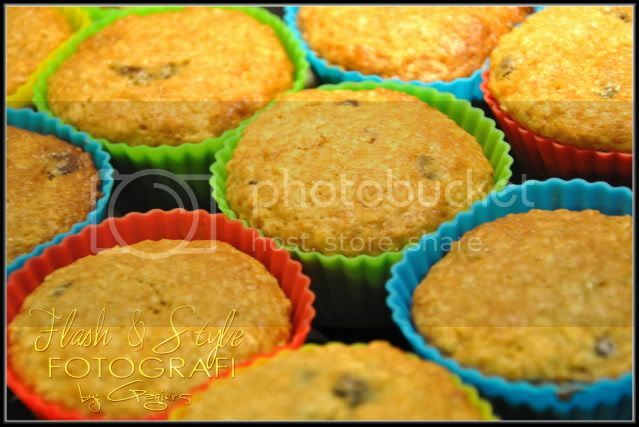 Fill each cup of one 12-cup muffin tin 2/3 full. Sprinkle tops with the remaining brown sugar and pecans. 4. Bake at 400 degrees F (205 degrees C) for 20 to 25 minutes. Thanks. These look DELICIOUS!!! Can't wait to try this. 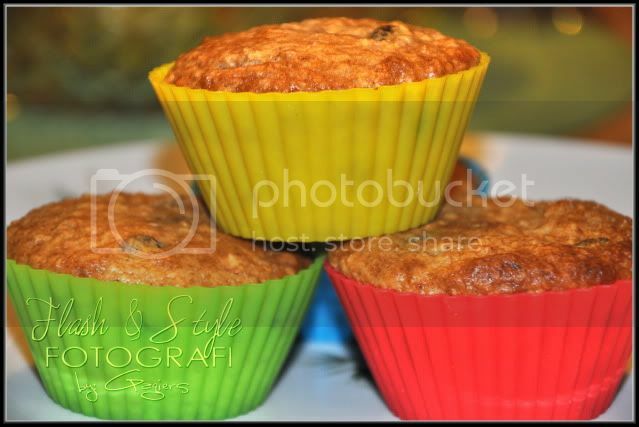 Good chocolate chips muffins...love these with a cup of hot tea! Hi, Nice post look so yummy! Would you please consider adding a link to my website on your page. Please email me back.